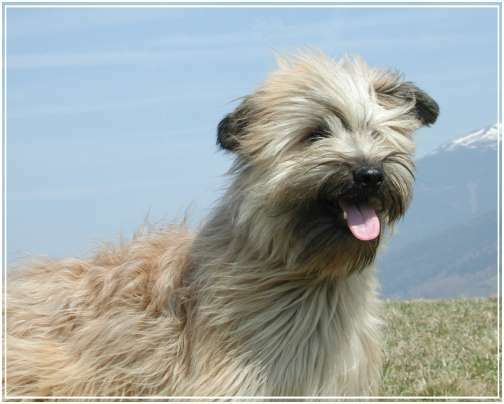 The Pyrenean sheepdog is an old french breed who exists since many generations in the pyrenean mountains (south-west of France at the spanish border). The dogs lived with the farmers and the shepherds and herded sheeps or goats since any centuries. 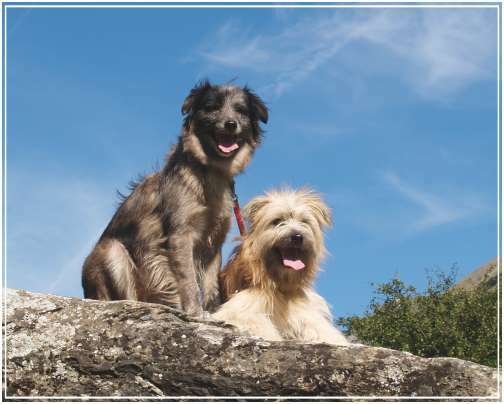 They are little, quickly, intelligent dogs, excellent family companions, but they must be very good socialized. To strange people they are normally distrustful but not aggressiv.Their energetic nature calls for long walks an they prefers to be with their peoples. with a tight coat and a texture between the coats from sheep and goat. More than 90 % from the whole population are dogs from this variety. The height is: males 15½ to 19 inches, females 15 to 18 inches. with short hairs on the head and the front-side of the legs and little longer hairs on the rest (maximum length is 2,75 inches). 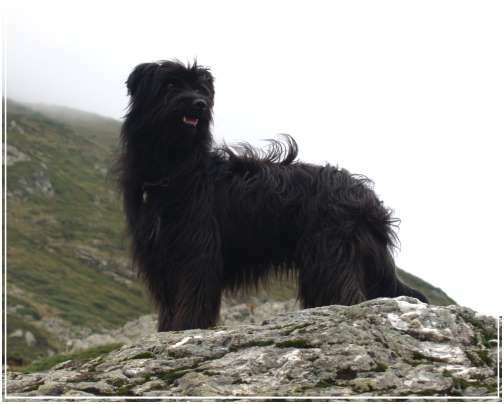 This variety is very rare, also in France and it's difficult to find really typical dogs. The smooth-muzzled dogs can (females must) be greater, males 15½ to 21 inches, females 15½ to 20½ inches. The most popular colors are various shades of fawn with or without a mixture of black hairs. 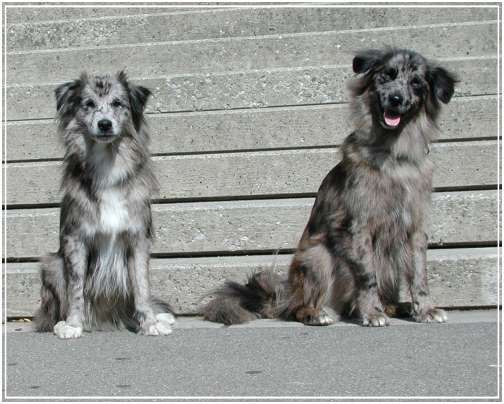 Other colors are grey, brindle, harlekin (blue merle) and black. The white color is not allowed. 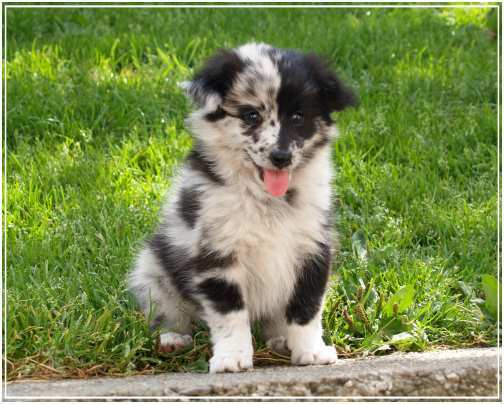 The eyes are dark, only harlekin and slate-grey dogs can have blues or very light eyes, this is a characteristic. The ears are traditionally cropped but it is now forbidden in the most countries. The perfect natural ears are carried semi-erect, that is, with approximately thwo-thirds of the ear standing erect, the top third tipping forward naturally.The tail is almost short docked (where it is allowed) but also natural short tail or long tail is accepted. His favorite gait is the trot , who is very pleasant to the eye. It is a result of the harmony of the front and rear angulations. There is also a book about french shepherds (german language), written by Christian Janes and Angelo Steccanella.